Milady's Pantry~ A Midwinter Mushroom Soup to Warm You! Bewitching Words of Wisdom~Good things to know! I'm a Midwestern witch through and through and there is nothing that captures those memories of an Ohio spring like the extraordinary scent of a glorious French lilac in bloom! Alas, it's also one of the hardest of scents to capture because unless you are working with a natural perfumer, most of the lilac perfume that you will encounter is synthetic. I've discovered though that one of the best carriers for this elusive scent is good old fashioned cane sugar, so when the lilacs are blooming I beg , borrow and steal enough of the fragrant blooms from all of my friends and neighbors to create a sweetly perfumed lilac treat. The end result is a beautifully tinted and infused lilac sugar that I can use to make jellies, syrups, love spells and tea sugars. The process is simple. Take as many lilacs as you can find and pick the blossoms off of the stems. Put them into a bowl and add a bag of white sugar. Toss and cover and allow the blooms to infuse the sugar. The next morning take the cover off of the bowl . The sugar will smell amazing, but it will be damp. Place all of the sugar and lilacs evenly on dehydrator trays (or cookie sheets if you are using a low oven) and allow it to dry for about 2 hours and then put all of it back again into a covered bowl. Pick another large bunch of lilac blossoms and put them into the dehydrator for about 3 hours (no sugar this time). When they have begun to really dry but not yet lost their scent, take them out and stir them into the already infused sugar. Let it air dry (or you can use a very low oven~ careful, you don't want caramel!) for about 6 more hours and put it all up in an air tight jar. The scent is astonishing and the sugar is delightful when you use it in tea or sprinkled on cookies or other confections. It makes a gorgeous gift packaged in a pretty cut or porcelain glass sugar bowl. I wouldn't use metal because you don't want any sort of bitter chemical reaction , a common chemistry problem between metal and flowers. One warning...really make sure that you dry it properly..keep checking the flowers. It takes lilacs a while to dry properly. You want the color and scent to still be there but not too much of the moisture otherwise your sugar will end up with a brownish tint! I use this sugar to make several bottles of a luscious love philtre every year. I only make three bottles and they go very quickly! It is quite an effective heart opener & aphrodisiac when used appropriately. I won't be making them until early May , but please email me at beth.gehring@stirringthesenses.com if you are interested in purchasing one of them. Fill a bare wall in your vintage-inspired kitchen with this Edible Botany Art Print. A gorgeous archival-quality illustration on bright white cover paper, this print shows off a few of our favorite herbs and spices with vibrant, wonderful colors. From sage to vanilla, this fabulous print is going to inspire plenty of delicious culinary combinations. No one is more surprised than I am to find myself at the ripe old age of 56! So far it feels better than all of my other years put together; my 50’s have brought me a feeling of confidence that I never expected! None of the wrinkles, bumps and spots are quite as difficult to swallow as I thought that they would be and several years ago with my husbands support I decided to reinvent myself completely and embark on a creative lifestyle change, one that I intend will propel me into the next 50 with tons of energy! I have been happily married to the same amazing guy for almost 34 years and we have a wonderful 28 year old son who is currently living in San Diego. All of my life I've been drawn to helping others create lives of full self expression. I spent most of my time in high school "counseling" my friends who would seek me out because somehow they thought that I had the answers. During a time of highly charged personal challenges that I was facing as a very young woman in a very young marriage, I spent much of my time with a marvelous social worker who encouraged me to look more deeply within myself and to express the passion and gift that I had for healing work , a concept which at that time seemed a bit "New Agey" to me, but was absolutely spot on. Starting in 1984, I spent the next 2 decades learning everything that I could from LaWanna Rine about traditional herbalism and aromatherapy. I became obsessed with the teachings of the Sacred Feminine and the Wise Woman Traditions. At the same time I was spending some weekends at the Phoenicia Pathwork Center in New York State with my mentor Robert Tobey and a group of amazing healers learning to work with the energy that flowed almost uncontrollably from my hands. It was a wonderful time for me. In Phoenicia I learned that the energy that I was experiencing wasn't "mine", but instead I was the conduit for something that to this day I don't quite understand, but acknowledge as a gift from a universal source. It was the very lesson that I needed to be able to use the abilities I'd been given. I spent my time there working with others while at the same time healing my own wounds. Facing my own demons allowed me the wisdom and compassion to truly begin to work with others in a way that was safe, expressive and powerful. When I wasn't in Phoenicia, I was working with a group of extraordinary healers that my husband and I started, offering bodywork to anyone who needed it through the laying on of hands in the safe, loving space of our home. I'm convinced that anyone has the capacity to be a healer, mostly you just need to get out of your own way. Healing can happen anywhere at anytime. During that whole time I was living a dual life. I was the President of one of the most prominent gift and tableware specialty stores in the city of Cleveland. I was a member of the Cleveland Junior League , I sat on the board of the Cleveland Orchestra and I was also creating tableware styling and design for Julia Child and Jacque Pepin's cookbooks and television shows. Everything in me was screaming “ yes” but I still wasn’t sure that I was comfortable with the concept of “ Beth, the coach “ or “Beth, the Healer”. I didn’t know it yet, but that was about to change, and fast. Fast forward a few years to when closed my families business in 2003 and took care of both of my parents for the next 6 years. In 2009 I found myself facing the death of both my parents and wondering after being their caregiver for so many years what was next. Sadly, I watched my mother die from severe complications stemming from her type 2 diabetes, a disease which I believe to be largely environmental and in many cases easily controllable through diet and exercise. My journey to create optimal health and wellness for myself has been a lifelong one, but that was when I decided to take it really seriously. Ever since I’d closed my business , I’d longed to find work that would feel as meaningful in my life as my families business had always been. When it comes to food I’ve always been a very good cook, but after I watched my mother die from the complications of diabetes I realized that it wasn't enough to just cook well...I knew that I needed to learn to cook smart or I could be next. My real epiphany came while I was working almost non-stop using Chinese herbs and other alternative modalities to keep my fathers immune system functioning well in the nursing home where he lived. At the age of 90 he had contracted a urinary tract infection there which almost killed him. Because of the mistakes made by the infectious disease Doctors at the Cleveland Clinic, his urinary infection morphed into a deadly strain of klebsiella, a superbug that was completely resistant to all but two antibiotics. The Cleveland Clinic told me that nothing could be done and sent him back to the nursing home in a coma to die. I spent a month of my life in a protective suit, headgear and gloves. I was, needless to say, furious. Rather than watch him suffer a slow and agonizing death, my family and I sprang into action. He was constantly having what are known as “ fevers of unknown origin” which his physicians could find no reason for. Functioning as my fathers patient advocate, I demanded a rheumatological consult and discovered that his immune system was completely out of whack due to chronic inflammation, dehydration and candida. We immediately got him on the correct medications and within days he began to reemerge into consciousness. He could not chew or swallow for three months so I began to feed him myself with food that I cooked, specifically tailored to not just his needs but his tastes. (Thank God for my Vitamix !) I added the herbs, Reiki, aromatherapy, everything that I could think of. After 6 months we took a deep breath and took him off of the antibiotic. Slowly he regained his strength and after that horrid episode was alive for almost three more years! I really took a lot of abuse from his Doctors but in the end they were astonished. I kept him on those herbs for three years and they never knew it. The day before he died at the ripe old age of 93, I called a meeting of the board of the nursing home and told them everything I’d been doing. They were horrified, but I knew that he was dying so I also knew that they wouldn’t be able to kick him out and trust me, they would have, all for taking my fathers health and life more seriously than they did. I’ll always be grateful to the nurses who never let on to the top brass, even though they knew what I was doing. I discovered then that sometimes (actually I believe more than not) it takes good old fashioned common sense to find the answer to problems like I’d been facing. It was one of the hardest things that I’ve ever done, working to keep him healthy for those few years, but we had such amazing times with him for those years. It was so very worth it and I am truly grateful. It shocked and enraged me that there was preventable illness everywhere in what was one of the most expensive (11000.00 a month) and highly regarded nursing homes in the city, diseases ranging from chronic urinary tract infections and inflammation to staph, mesa , klebsiella and cedif. As I did my research I discovered that it was easily traceable to the food that the residents were served, food that was cheap, poor quality , unappealingly prepared and of the lowest nutritional value. As I did my research I realized that many of the problems that we’d been facing with my father were systemic throughout our American culture. I began to look around and discovered that most of the people that I knew and loved were eating food that was of marginal quality in an almost robotic fashion. They simply weren't thinking about it. I started watching the children around me, and realized that they were getting sicker and sicker at much earlier ages. The more I looked around, the more I uncovered. I was blown away. I saw many of my friends eating food that I wouldn’t have fed my dogs and they weren’t even paying attention to it. They didn’t see the correlation between how poorly they felt and what they were eating and drinking. They simply did not know anything about the food that they were eating. It’s funny. I’d always known it, but the day that the head chef at my father’s nursing home sadly admitted to me that they fed each resident on $7.00 a day was the day that I became a food warrior. I decided then and there that it was my mission to educate. I stepped into the role of “Beth the Teacher “and I haven’t looked back. It is a simple truth that food matters and so does a balanced quality lifestyle that takes all aspects of what it means to be human into consideration. We truly are what we eat and how we live. At that moment I began to look for a school that could give me the tools that I needed to help others learn to eat and live well no matter their age or means. I believed then and I still believe now that the most elegant and effective prescription is to be found at the end of your fork. 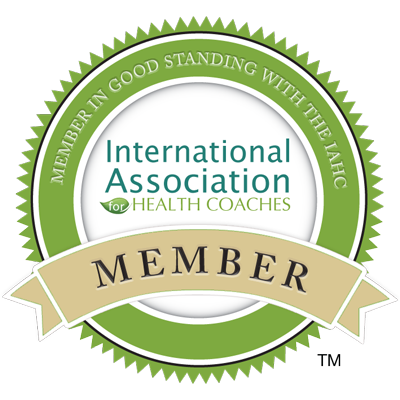 I received my training at the Institute of Integrative Nutrition and I absolutely love what I do. I say that I help people fall madly in love with their lives again, and my clients will tell you, I don’t rest until I make that happen! I've been giving lectures on cooking and entertaining for decades and have always really enjoyed helping others create lives for themselves that they love! I’m blessed in that I get to do what I love in helping others learn to live fully and this has been a wonderful next step for me. Anyone that knows me well knows that there’s nothing I love more than a good celebration. Everyday can be an excuse to express your own creativity and joy or as my mother always put it “Everyday should always be a day for candles and wine!” I love to encourage my clients to experience the magic to be found through living in synchronicity with the seasons and because I can never stray too far from my roots I help them integrate their dietary changes into a beautiful lifestyle that reflects who they have and are continuing to become! So as I’d always done I followed his sage advice. My father had an uncanny way of truly “knowing “ all of his children so I’ve always listened to him whenever he had something to tell me and this time was no different. I would encourage anyone of you reading this to pursue the inspirations and dreams that may be germinating in your heart right now. You won’t be sorry, I promise you. The old saying that life’s too short does apply here and you truly don’t need to uproot yourself to begin to create and live your life as a work of art. It’s a journey that does begin with a few steps, which is as cliché as it gets, but they’re important steps to take. If you’re thinking about making any kind of change I can’t support you enough. I would be a health and lifestyle coach even if I weren’t getting paid for it, in fact I did just that for so many years! This crazy world of ours needs more of us to follow our dreams and less of us to live uninspiring half lives. 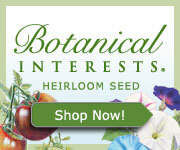 If I can help you water any of those seeds, please feel free to let me know! Good luck! I wish for all of us joy, abundance and great success on this truly amazing journey we call life!